I’m addicted to pumpkin puree. Maybe it’s the pregnancy, maybe it’s not. 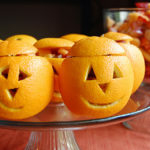 But, I had a hard time reserving this pumpkin puree as an ingredient for my recipes rather than just eating it straight. The texture is so smooth and I can not wait to make this as baby food next Fall. 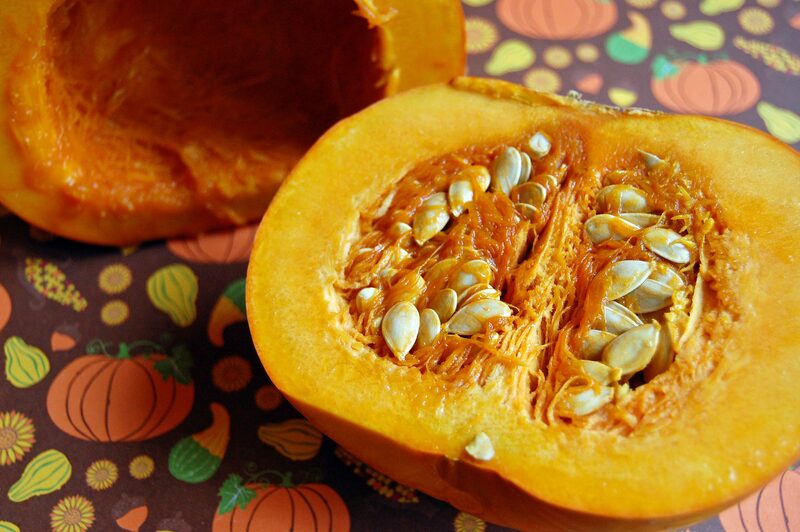 Plan a half pound of fresh pumpkin per serving – most of what you buy will be discarded as peel and seeds. Place halves flesh side down on a baking sheet. Add one cup of water. Bake for 60 – 90 minutes, until flesh is tender and can easily be scooped from the skin. Mine were ready in 60 minutes. 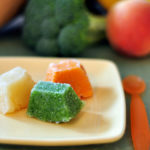 Scoop out the flesh and puree in a blender or food processor. Or, use a fork to mash, depending on desired consistency. 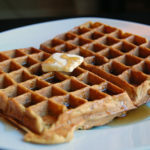 *Strain through a cheesecloth or coffee filter to thicken your puree, if desired. that looks so good! i love pumpkin. i never thought of making my own pumpkin puree. I’m not pregnant and I’m craving this too! 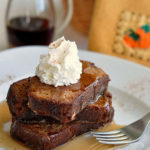 I have been thinking about doing this because I have been finding all these delicious looking pumpkin recipes this fall and I can not find any canned pumpkin puree here in Fairbanks. Unfortunately the Farmer’s Market is closed for the season and the pie pumpkins in the grocery are about $9 each! that’s some beautiful pumpkin puree! and i appreciate that helpful pumpkin math 🙂 they should post that at the pumpkin patch in october! 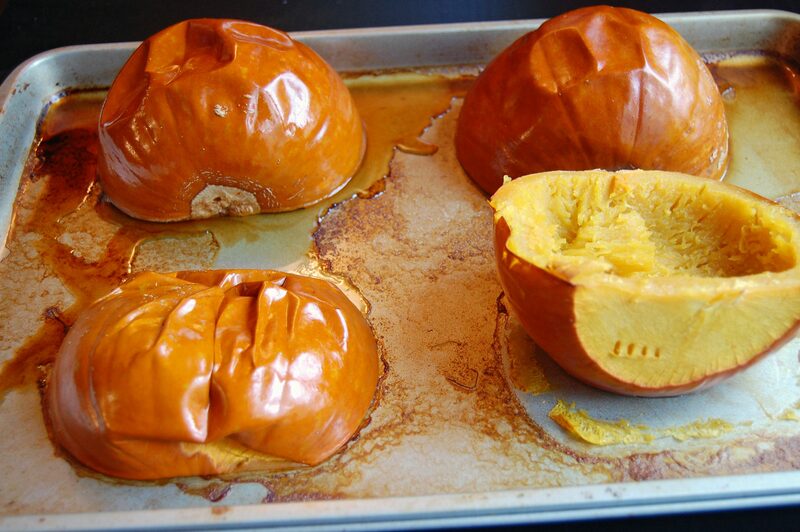 you know another use for pumpkin puree? this one’s a little gross. my vet always tells me to give it to my pup if she’s, uh, backed up. works pretty well. Thanks for the recipe! I’m totally going to try this! 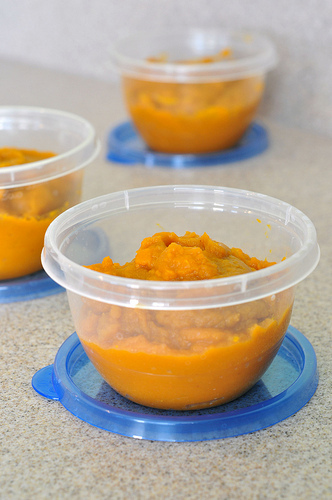 When you make your own puree does it still have the strong pumpkin flavor of the canned stuff? I tried to do it myself last year and barely got any pumpkin flavor at all. So Im wondering if I had a less than stellar pumpkin or if that was normal? Hi Sonya. My puree has a great pure pumpkin flavor. 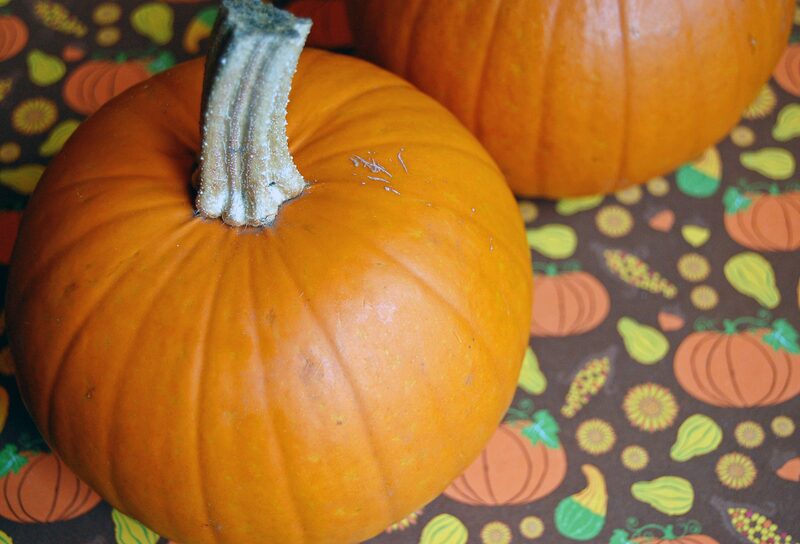 Did you use a sugar/pie pumpkin? If you use the Jack-o-Lantern size, I imagine it may not taste as good. 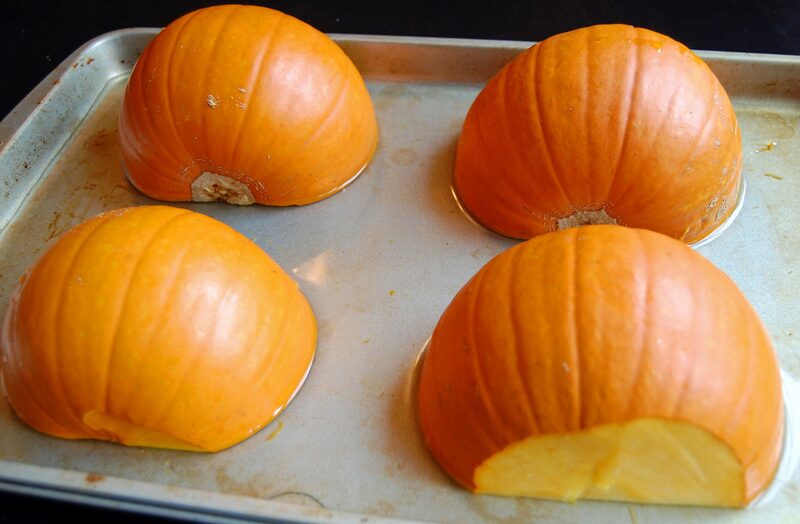 Never tried it, but have read it’s best to use the small pie pumpkins. To answer your question, no, I don’t think that’s normal. Give it another try and let me know what happens! Also, try buying your pumpkins fresh at the farm stand. Ok thats where I went wrong. I used a regular sized one. I will look for the sugar/pie pumpkins. I live in the netherlands so finding pumpkins at all is a hunt in itself! lol However I spotted some in germany and need to quickly find one before they are gone. Thank you so much for the wonderful tips! I just made this leaving out all the sugar (only used about 1.5 tblsp maple syrup) and it was excellent. Very good on graham crackers and gala apples. oops! that comment was supposed to go on the pumpkin dip entry! I am officially trying this, this weekend! I’m obsessed with pumpkin and was sad to see it unavailable at markets after the holidays.